Auto injectors have proven to be one of the most convenient and safe methods for patients to self-administer their injections. This trend has become even more noticeable as the number of combination products coming to market continues to increase and biopharmaceutical companies seek to diversify the range of drug delivery options for their products. To support this growth, auto injectors must continue to evolve in both design and functionality. 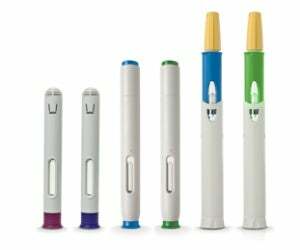 For several years, a range of auto injectors have been available in the European and North American markets, but more recently countries in the Asia Pacific region are starting to see such devices launched in their markets. Biopharmaceutical companies based in this region are now beginning to work with experienced drug delivery device companies to help design devices that are ideally suited to the needs of their customers. However, selecting the right device partner is crucial when starting up any auto injector programme, especially when the project may involve collaborations at a global level. Take the Japanese biopharmaceutical industry as an example, which is very R&D oriented and has quite strict regulatory guidelines, it is essential that the device manufacturer is knowledgeable and experienced enough to tailor device programmes to meet the requirements of that market. As part of SHL’s efforts to reach out to the biopharmaceutical industry in the Asia Pacific region and to better understand their needs, SHL marketing director Steven Kaufman will be presenting on the topic ‘auto injectors: supporting the biotech revolution’ at the upcoming Prefilled Syringe Seminar held in Tokyo by the Parental Drug Association Japan (PDA Japan) from 22 until 23 May 2012. Commenting on this event, Mr. Kaufman stated: "We have been fortunate to work with some of the leading biopharmaceutical companies in Japan for pen injector and auto injector projects over the years, but this will be our first opportunity to speak and exhibit in Japan. I greatly respect the efforts of the organisers to arrange this type of event and we are honoured to be involved. Our goal is to not only share our experience as an auto injector designer, developer and manufacturer, but more importantly to speak to attendees face-to-face and to better understand their unique needs." SHL will be showcasing key auto injectors such as Molly, a simple 2-step shield activated auto injector, DAI, one of the most successful auto injectors launched, and SDI-MIX NIT, a dual-chamber auto injector that utilizes the latest in needle isolation technology, while exhibiting at the seminar. Handling videos and live demonstrations will also be available for attendees.